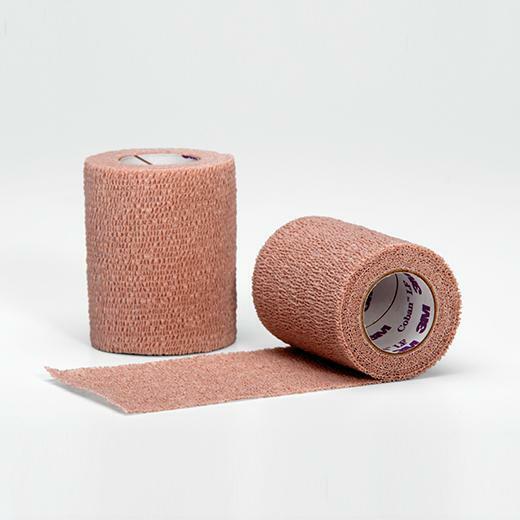 Excellent for compression dressings, securing devices and wrapping splints. Easy to apply, Coban™ sticks to itself without the use of pins or clips. All options are Latex Free, Non-sterile and Tan in color.